Estate Sales Management in East Cobb | What makes them different? The homes in East Cobb, GA are some of the most beautiful in the state. These estate sales are home great families, clients, and items for sale. These are some of the things that make it a pleasure for us to work with clients in this area of Georgia (and many others). How does estate sale management and execution differ in the various areas of Cobb County like East Cobb? There are a few factors contributing to the growth in quantity and quality of local estate sales. We are going to discuss them for you right here! Cobb County is one of the fastest growing in the Atlanta region when talking about population size. It has seen substantial growth rates over the past 10 years and is now one of the most populated counties in the region. It is also becoming more ethnically diverse over time. On the estate sales side, this means a larger number of estate sales and a wider range of sales to appeal to citizens of many different cultures and ethnicities. All good things! Not only that but when planning an estate sale in Cobb County for yourself, it means there are more people in the area that might be interested in stopping by and seeing what you are selling. Thank you to Atlanta Regional for this chart and data. You can see below that it only takes you about 40-45 minutes to get from East Cobb to Atlanta (and vice versa) when traffic is light. The average commute time from Cobb County, in general, is just 29 minutes. When you are running an estate sale in the area, being less than an hour from Atlanta is a pretty big benefit. Estate sale shoppers and re-sellers of goods will travel in order to find good items in less competitive areas. These buyers find much more competition the closer they are to the heart of Atlanta, making their jobs harder. 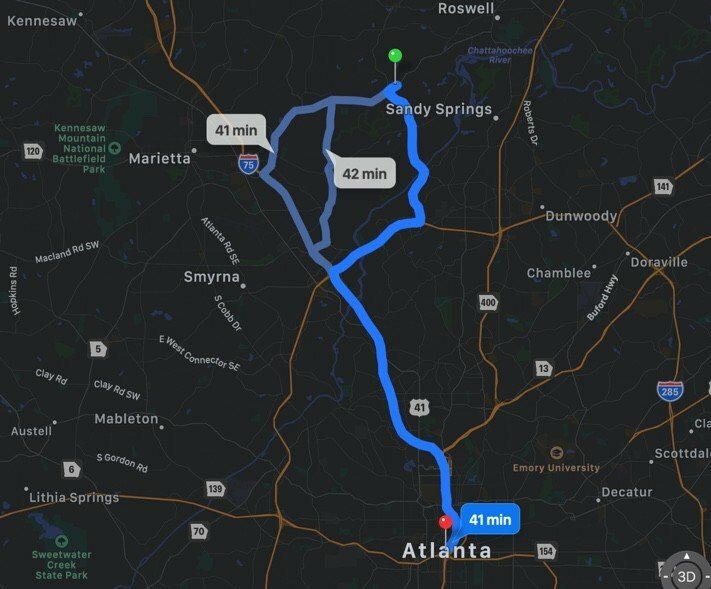 Cobb County is close enough that we often see traffic coming from Atlanta for estate sales, especially on the weekends when traffic is lighter. That is why most estate sales tend to happen on the weekends, where there is less traffic and more people are off from work. Cobb County (especially East Cobb) is known for its beautiful homes and quality of life. The median income is higher than in other areas of Georgia and the Atlanta region. This is a good sign for the quality of estate sales and what you will be able to find for sale there. We have held some of the most amazing sales here. Planning an estate sale or need management help in East Cobb? We can help you out. Certified Estate Sales is a trusted source of estate sale management services throughout the Atlanta region and beyond. Our franchise program is ever expanding our reach and network. If you need help managing an estate sale in this area or any other, get in touch with us.